The US Wrestling Federation appreciated Iranian fans for their wonderful support of American wrestlers throughout the Freestyle Wrestling World Cup in Iran’s Kermanshah. 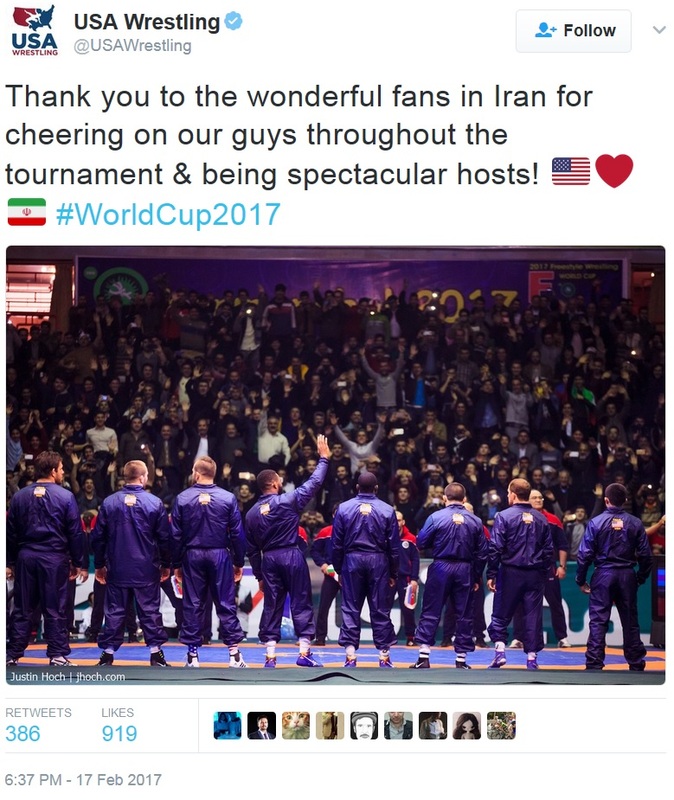 In a post in its Twitter account, the US wrestling federation thanked Iranian fans who supported American wrestlers during the recent Freestyle Wrestling World Cup in Kermanshah. 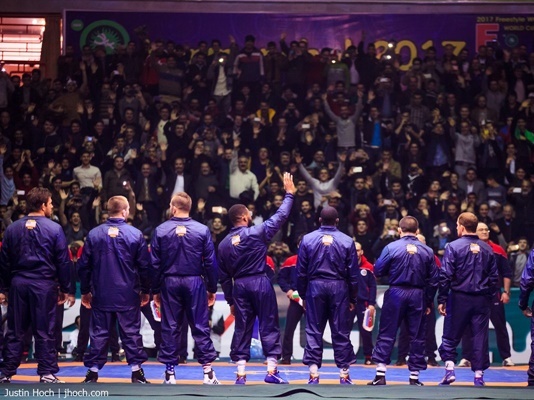 “Thank you to the wonderful fans in Iran for cheering on our guys throughout the tournament and being spectacular hosts,” the US wrestling federation said, putting a heart between the flags of Iran and the US. The 2017 Freestyle World Cup wrapped up on Friday with Iran winning the title for the sixth time in a row. In the final match, the USA Wrestling Team was defeated by Iranian wrestlers 3-5 in the western Iranian city of Kermanshah in front of vibrant spectators.